One hundred years after Albert Einstein’s theory of General Relativity first predicted the existence of gravitational waves, physicists at the Laser Interferometer Gravitational Wave Observatory (LIGO) detected these ripples in the fabric of spacetime in September of last year. MIT Professor, MacArthur Fellow and LIGO member Dr. Nergis Mavalvala brought this historic discovery to life with the help of data visualizations produced by the Adler’s Space Visualization Group. Professor Mavalvala’s lecture reflected on the century of research that finally confirmed Einstein’s prediction and what gravitational waves may reveal about the earliest moments of our Universe. Nergis Mavalvala, PhD, is an astrophysicist known for her role in the first observation of gravitational waves. She is the Curtis and Kathleen Marble Professor of Astrophysics at the Massachusetts Institute of Technology (MIT) Kavli Institute for Astrophysics and Space Research and she is also the associate head of the department of physics. 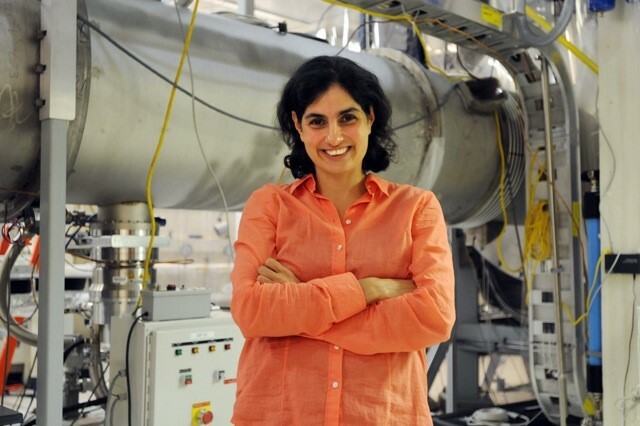 Best known for her work on the detection of gravitational waves in the Laser Interferometer Gravitational-Wave Observatory (LIGO) project, she has also obtained prominent results that evolved out of LIGO including pioneering experiments on laser cooling of macroscopic objects and in the generation of squeezed quantum states of light. Professor Mavalvala is also a 2010 MacArthur Fellow.